ver wonder why SEO (Search Engine Optimization) would be useful to you? This blog will explain to you the relationship between SEO ROI & Digital Marketing. To practice good digital marketing, one must understand the concept of what digital marketing is. It’s not that simple to combine digital applications with marketing strategies, unless you already understand the foundation that creates digital marketing, and also understand the community and nature of targeting your audience to better the ROI (Return on Investment) of specific marketing campaigns and investments. The world has entered a digital stage where if you are not practicing digital marketing, you are missing out on a piece of the market that you could be profiting from. We all know that the younger generations, such as millennials, are becoming very affluent with the digital world. But the best part about digital, is that adults and seniors are finding ways to adopt the digital world into their daily lives. Going digital has made lives easier for all types of people, no matter what their age group is. This sense of reach in the digital world, knowing there is an outreach of communities you can connect your brand name and your products to, is astonishing. However, knowing which digital channels to use in order for you to reach these marketable communities is the big question, as a marketer and/or business owner. There are many channels on the internet that can help businesses reach their potential target markets for conversions (sales, brand awareness, lead generation, etc.). Once you figure out the right communities that you want to market to, and you’ve invested your time and money properly to market to those communities through the right marketing channels efficiently, if all goes well, there are metrics that you can use to then analyze whether or not that digital marketing strategy you have just implemented was a success or a failure. Metrics can help you analyze whether or not you’ve reached your objectives and goals you’ve assigned those campaigns for, or read new opportunities for you to seize. You can do this by tracking your communities (target market’s) engagement with all your campaign’s features, such as pay-per-click ads, or click-to-open rates for email campaigns. As long as all the proper coding is done, you can configure your analytics and conversion tracking codes to track your campaign to analyze whether or not you should continue on with your current campaign, delete it, or find ways to improve and optimize your campaigns for continued marketing purposes, aka remarketing. Metrics that can be analyzed on digital marketing analytical tools are essential for marketers to understand the nature of their target markets on the internet, and to know how these target markets and their niches within the target markets, react to your brand and product (through the channels you have assigned) via the internet. Another reason why metrics are so important, is because you can help analyze your ROI through the different marketing channels you have committed your marketing campaigns to. You can determine if there was more value to invest into social media than SEO (Search Engine Optimization), or vice versa. 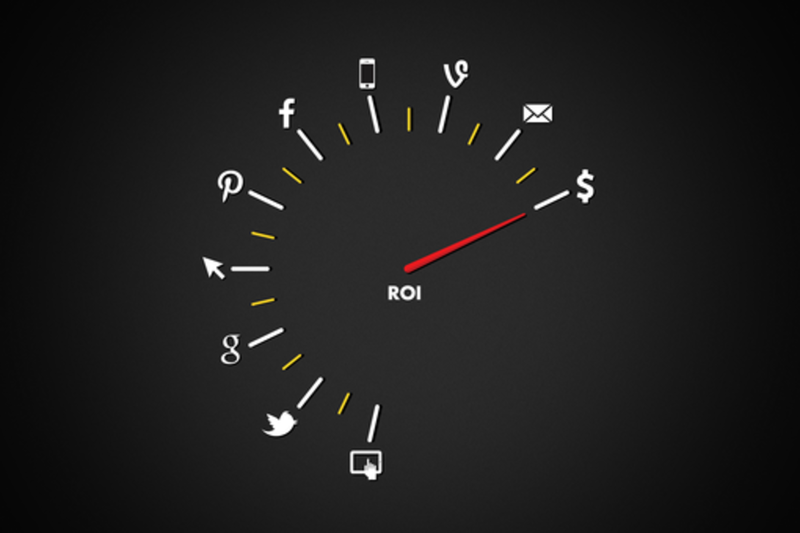 But for SEO (and on social media too, more than you ’de expect), there is no real way to determine one single form of ROI; especially if you are a small to medium sized business. It’s certainly a lot easier for a bigger organization, such as Macy’s to select from a grandeur list of ROI’s for their Social Media or SEO marketing campaigns, because they can dish out the money for advertising, and they are already a well-established brand. For a small to medium size business, their list of ROI options are probably a lot more limited compared to Macy’s options (but you should also take into account what industries the small business and Macy’s are respectively competing in). Whether you’re a startup business or a medium sized business, trying to obtain more market share in their competitive industry through digital marketing, it will take them more time and money to determine your digital marketing prowess. This is exceptionally true if you are just starting to practice digital marketing and have no metrical data to analyze for proper ROI. The limited amount of data also hinders you from optimizing your future marketing campaigns. This is even truer if the small to medium size business has only recently just started to optimize their SEO presence and want to understand their brand recognition in search engines (Google robots rank businesses domain names, and its likeness, primarily by how relevant your links are in the World Wide Web, as this will take time to rank above your competitors). ROI in the digital marketing world is very oblique (especially if you are a small to medium sized business trying to compete in digital marketing against other established brand names out there). You might have an idea of what you want, or come to expect for your online campaigns, but sometimes your online campaigns will show you a different story unravelling through your metrics. Sometimes the ROI you are expecting isn’t measurable at all, and other times, you can receive the ROI you were looking for and even more than what you had anticipated! With that said, anticipating data that solidifies information to justify your ROI with your digital marketing campaigns shouldn’t be completely expected. Although, all businesses and marketers should have a general idea of what to expect in return for the costs you are putting into your marketing campaigns, aka Anticipated ROI; getting what you want isn’t always the case in digital marketing. Sometimes you can get more or less from your anticipated ROI. Other times you might gain better benefits from digital marketing campaigns that can help assist your business in other ways, such as branding or increasing the number of followers on your social media pages. There is a difference on how to view ROI from a digital marketing perspective, whether you’re a big Fortune 500 company or a small to medium size business, these two types of organizations will not see investments exactly the same way. A small to medium size business, should be really focused on asserting themselves as a viable brand. If you want to compete in this world, and you think that you don’t need organic search results to keep you in the top 10 lists of search engine, then be grateful, because you have got yourself clients that you need to hold onto for dear life! If your current clients are providing you with enough revenue that makes online marketing obsolete for you, than good job on finding an industry that can help your business become self-sufficient. But in most cases, you are definitely not one of those extraordinary businesses… Such as Ferrari or Rolls Royce. But to be fair, Ferrari and Rolls Royce will also do some branding on the internet from time to time just to spice things up a bit (more like content marketing videos on YouTube to establish themselves with influencers to better their brand image). These established super brands don’t need to gain a market share of an industry unlike a startup business would, henceforth, their marketing strategies and tactics are probably a lot less trivial from yours, as a small to medium size business competing to obtain a higher ROI on your investments. Let’s Look into SEO, and See How SEO Effects Your Potential ROI. Search Engine optimization is a beast all on its own. In order to have good SEO presence, you need to have a good data analysis to make sure your websites and content stay SEO friendly, and you are obtaining data from where you are tracking. Essentially, for proper SEO practice, you need to make it easier for Google bots and crawlers to determine why your website is relevant to them. There is a way to engineer your websites crawlability, and increase your websites speed to help show Google bots/crawlers that your website is relevant. But bots/crawlers will take extra measures to determine if your website or content is relevant to the consumers searching on search engine queries. This is something digital marketers need to advance their efforts in, such as backlinks (link-building) and key word optimization, but let’s hold off from that explanation for now. Let’s assume you have a digital marketer or SEO expert who knows how to optimize your webpage and content for SEO. Once you optimize your website, then what? Well, depending whether or not you are a small business that wants better branding, you are going to have to fight for your spot in order to keep your webpage and content on the top 10 list in search engine webpages. 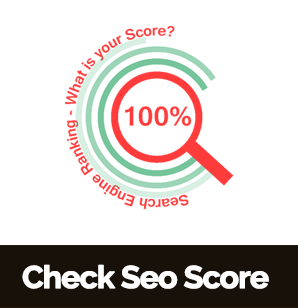 SEO has the word optimization in it. There is a reason why that word “optimization” is in SEO. It’s primarily because you have to keep optimizing your webpage and contents in order to be considered relevant for search engine pages to keep you as a relevant webpage/link, and keep you ranked on their top 10 list for specific search queries. So for a startup business, the first battle is to make sure that you are considered an accredited brand by having your webpage ranked as a top 10 in search engine lists, amongst the competition in your industry. The next battle for you will be to stay as one of the top 10 links on search engine webpage rankings so consumers who type in the relevant keywords to relate to your business, see’s you as a relevant brand when you are one of the first business websites to be posted on search engine links. This in itself a form of branding. Branding is a novel, and exceptionally worth wild ROI to invest in, especially if you are a startup business who wants brand recognition in search engines. Traffic to your website through SEO can be established by associating your webpages and content with relevant keywords, whether those keywords are branded or non-branded. Branded keywords are usually used when a consumer is already looking for your specific site, so they will use keywords that are associated with your brand name and product. Non branding keywords are keywords that consumers use, that have a related inclination to your webpage and/or business, but they may not be specifically looking for your webpage. It’s important to include non-branding keywords to your SEO campaigns, primarily because people who use non-branded keywords for their personal use may be interested in your products and offerings as well, they can be a potential client, they just don’t even know it yet. If you are really looking for a way to monetize your financial investment on your SEO, you can help adjust your forecasting on financial ROI by setting up an Anticipated ROI for the SEO strategy you are planning to invest in. Again, this approach for SEO ROI should be considered more pertinent to a big business like Best Buy, or Macy’s who can expect such a monetary return on their SEO investment. And let’s say that the cost your client wants to invest in for SEO is $13000. Your first step will be to determine the number of orders you will need to gain in order to make sure your SEO client receives at least $13000 in return. So when your client receives an order of 114 through your SEO efforts, your client will break even. The next step to take is to find out the additional traffic needed in order to reach 114 orders on your client’s webpage. 16765 visits will be the number of traffic generated to your website through SEO to statistically provide your anticipated ROI to break even. If your e-commerce conversion rate stays constant, in order to double your monetized ROI, you will need to have statically 33530 visits (16765 * 2). We can now assume that if we double the amount of orders to 228 (114*2) we can double our investment ROI through our SEO efforts equaling $26000 ($13000*2). 100% means that if your client invests X amount, you will receive twice the amount of X.
SEO is imperative to have, especially as a business that wants to be considered relevant and viable. You shouldn’t be holding your business’s credibility back by lacking your presence in SEO. It’s understandable that as a startup business, you may have other priorities at hand. But you should definitely take advantage of what SEO can offer your small to medium size business. Understanding where your business lie in its industry will determine what kind of SEO ROI you should be seeking. It will be easier to determine the SEO campaign you want to achieve with the more metrics data you obtain. But for a business just starting, what’s most important will differ. Some businesses can afford to have monetized ROI’s but other businesses will be struggling for the branding ROI, trying to be on the top 10 list of search engines, increasing brand awareness, increasing traffic, optimizing your meta-tags and title tags to stand out more, etc. SEO is a really demanding digital marketing apparatus, that shouldn’t be neglected. The longer you wait to be optimized on search engines, the longer it will take for you to increase your leads for conversions and sales substantially. Luckily, with good perseverance in SEO, the long term goal is to remain on the top 10 rankings on search engines by using good SEO practices. But the better part of SEO, is that, even though it’s a harder uphill struggle to get to the top 10 search engine ranking’s list, it’s exceptionally easier to stay on that top 10 search ranking spot as you, and the competition, generate more content on your webpage, associate more refined keywords, and practice good SEO marketing principles to try and achieve the #1 spot in your search engine results.